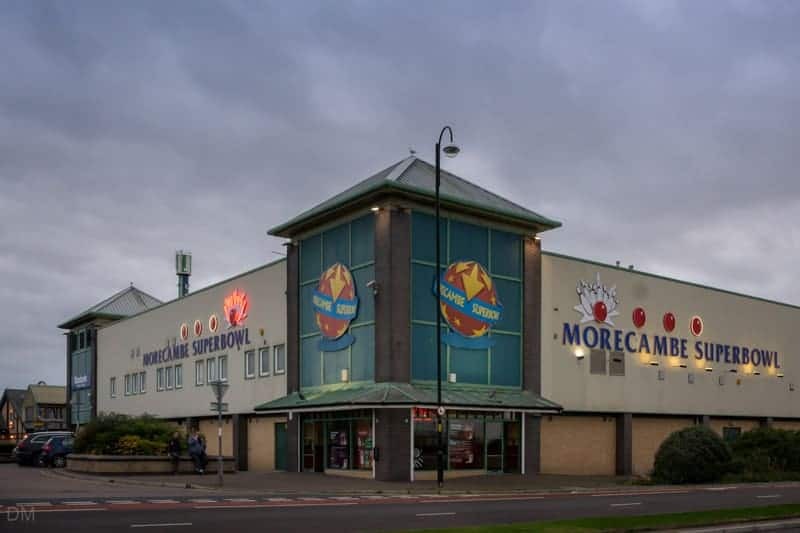 The Morecambe Superbowl is a tenpin bowling and family entertainment centre in Morecambe. It offers twenty lanes, all with computerised scoring, and is fully air conditioned. All lanes have barriers for inexperienced bowlers. Facilities include a licensed bar and café, plus a games area with pool tables and arcade games. Game and hourly rates are available. For prices and to book visit the official website. Details of discounts and special offers are also posted on Morecambe Superbowl’s Facebook page. The centre is open seven days a week from 10 am till late. The Morecambe Superbowl is located on Central Drive (postcode LA4 4DW) in Morecambe town centre. There is limited free customer car parking at the side of the centre. Additional parking is available at the Festival Market/Old Station Car Park just across the road. Parking is free here after 6 pm. Morecambe Train Station, Morecambe Bus Station, and the Reel Cinema are all within easy walking distance. 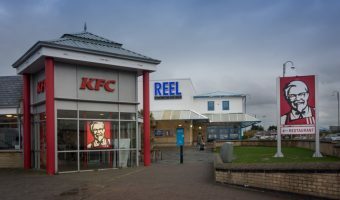 Dining options nearby include Frankie & Benny’s at Central Drive Retail Park, KFC (directly opposite), and The Station pub at The Platform. 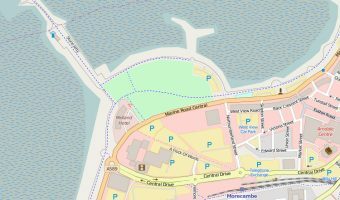 Map showing location of Morecambe Superbowl. Morecambe Superbowl is a great place to go. I am going there today with my best mate for the 7th time! The games are all back in place it was just whilst we were having a change over with the people who supplied us with the machines. It’s a really good place to go but the food is very expensive. Morecambe Superbowl is a pretty good place to go. When I last went I enjoyed it but the only thing was that they had taken all the games away e.g. dance mat, racing cars and slots. These were very popular for everybody to play on. Thanks for looking at my review. 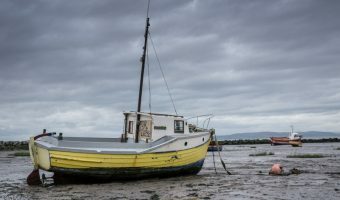 I hope you enjoy Morecambe in the future. Thanks Paige. Small cinema in Morecambe town centre. View film listings and times.